I want to share my current favorite Project Life album. I typically do physical Project Life annual albums, but for this particular vacation album I'm working on a hybrid version. Oh, and it's DISNEY. OMG, so much fun to scrapbook. 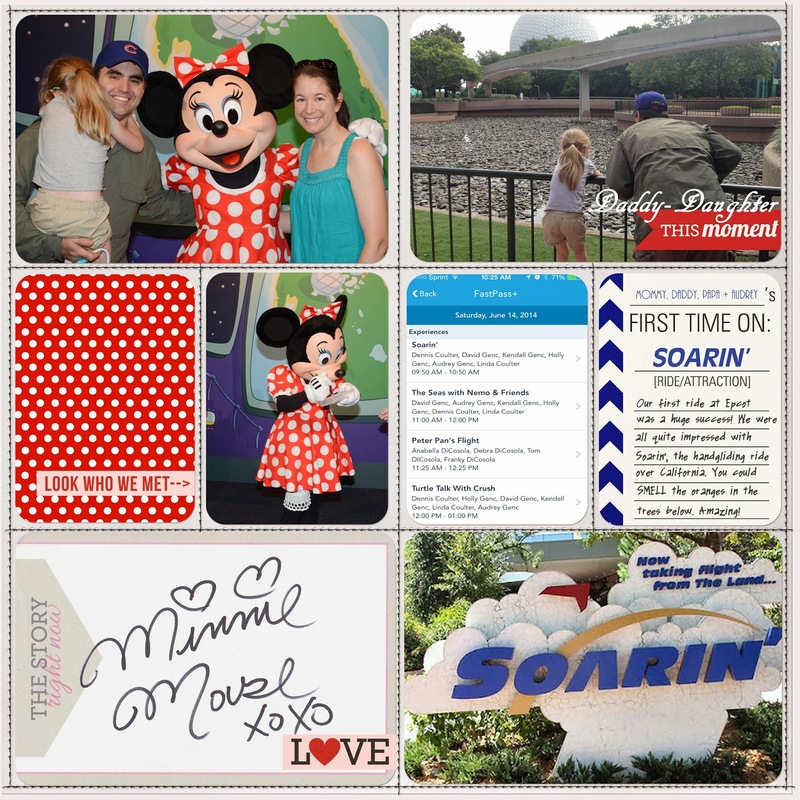 Our first Disney trip with little ones was this summer. 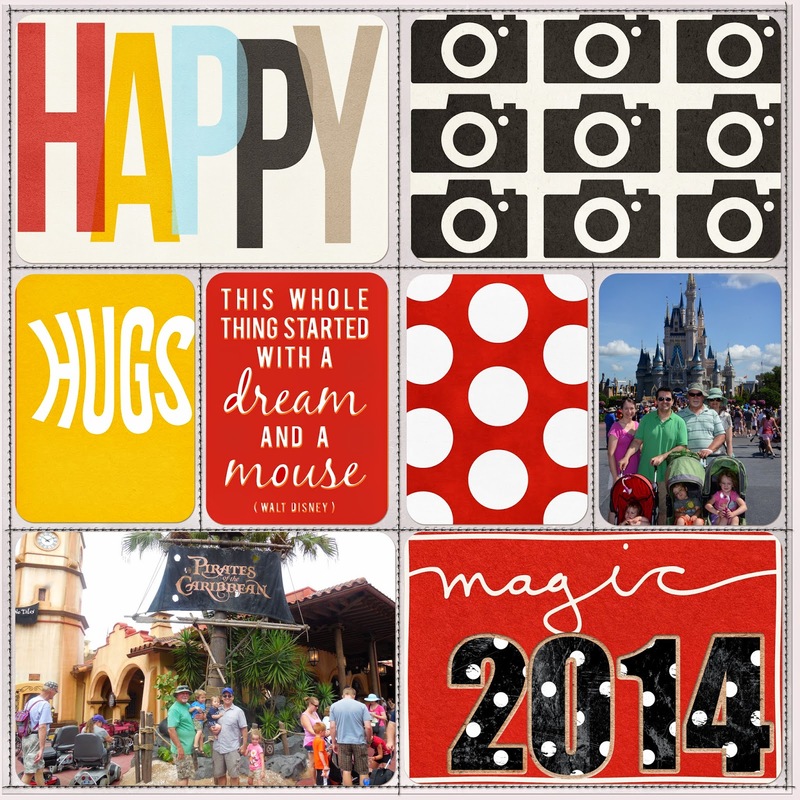 (That could be another post on it's own: Going to Disney with a 5, 3 and 1 year old, YIKES) Before the trip, I bought into the Project Mouse collection by Sahlin Studio, which is fabulous. When you see it, you have to have it all. At least that's what happened to me. Ok, I didn't buy it ALL, but close. Why digital? Well, I had two reasons. My parents went with us, and they of coarse will NEED an album. Digital made sense. I couldn't really imagine making TWO of the same physical album. Instead, I do one digi design for two different album types. For Papa and Mimi, I'll just print a book. BUT, I couldn't go totally digital on my own album. As I create each page digitally, I also print the pieces and have a hybrid version for me. There is a really cool action for PSE that cuts your 12x12 layout into 6 separate 6x4 jpg's to print. Awesomesauce. I mean, really. The other reason for going digi/hybrid is that Project Mouse is all digital files. They don't sell physical cards. Cover Page. Project Mouse cards.